A supportive shoe that won’t burn a hole in your pocket. I’ll admit there was a period in my running when I was ashamed of being flat-footed. Having flat feet was usually associated with being an over-pronator, or that you didn’t have the perfect running form (i.e. neutral). To “fix” over-pronation, stability shoes used an oversised medial post, resulting in a rigid lump in the arch. Now, brands have strayed away from the over-correction route. Shoes, like the GT-1000, include features that ensure comfort without overstated “enhancements” meant to fix your gait. 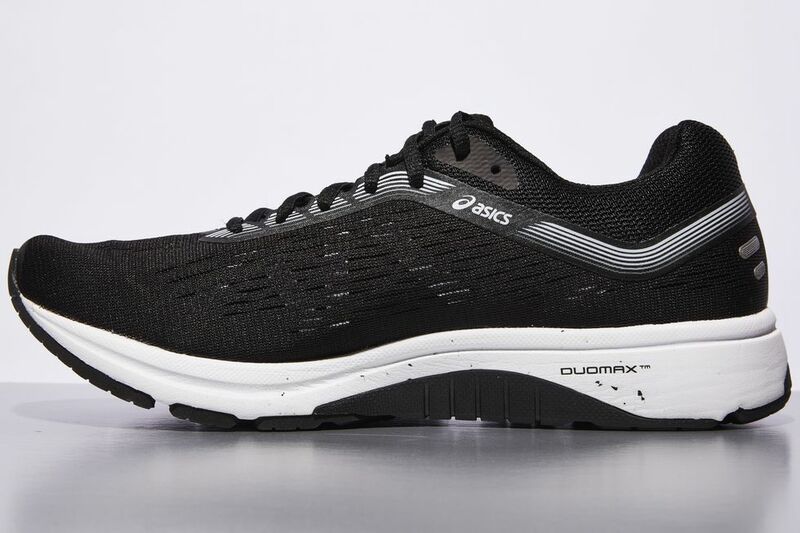 The GT-1000 7 is also an incredibly affordable option for runners looking for a stable and comfortable ride. “The GT-1000 7 is solid stability shoe with a great fit that gives runners an exceptional ride without breaking the bank,” said a wear-tester. Over-pronators will find the shoe gives them the support they desire, while neutral runners looking for a stable trainer can also slip into the GT-1000. Testers experienced a soft and smooth ride in the GT-1000 7 (women’s shown). The GT-1000 is similar in function and feel to the GT-2000 series, but less plush. Runners have called the GT-1000 line “underwhelming yet reliable.” On tester said, “These are the Chevys in the GM line. However, I think they have a lot of characteristics that make them comparable to a Cadillac.” If there’s one word that encapsulates the GT-1000, it’s dependable. 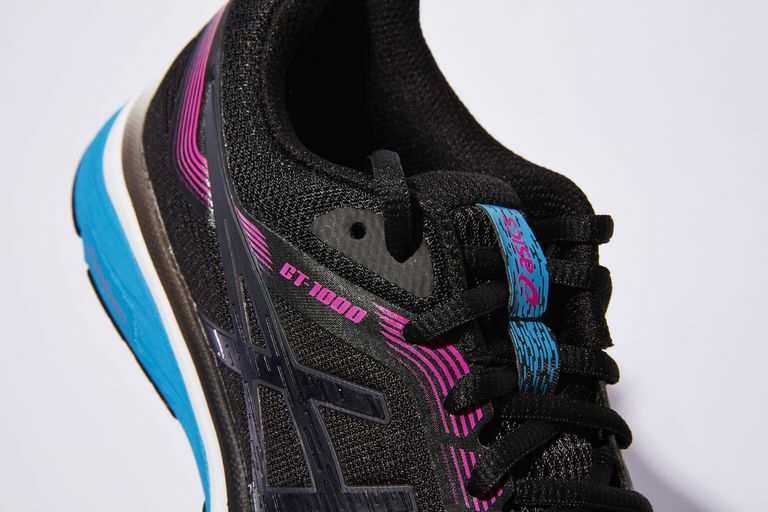 The GT-1000 gets its responsiveness and bounce from Asics’ FlyteFoam midsole, which also reduces impact on runs. A second, firmer foam called Duomax provides stability – the wedge inserted in the midsole controls your foot from rolling inward. 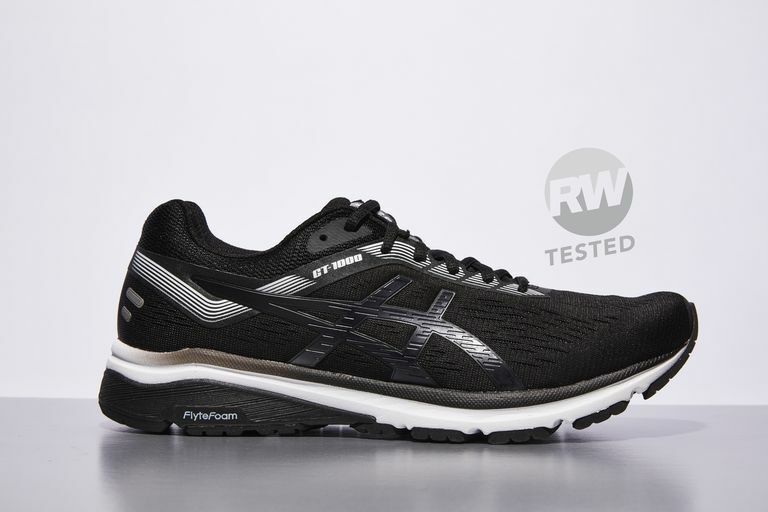 Asics’ high abrasion rubber is used throughout the outsole for long-run durability. Testers noticed little wear in the shoe, stating the sole still looked “newish” with “no obvious wear” after a month of running in them. Traction was also satisfactory on grass, gravel and wet surfaces. The shoe is snug in the forefoot with ample room in the toe box. Runners with wide feet may find the GT-1000 too tight; some testers had to loosen the laces or break in the shoe after a few runs. Fortunately, the GT-1000 is also available in different widths. We put each shoe through real-world usage and a battery of mechanical tests in our lab to provide you with objective – and exclusive – data. 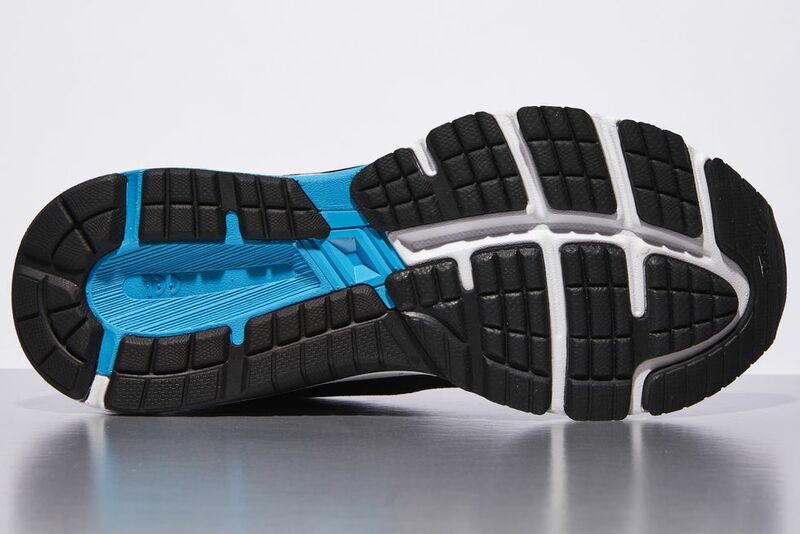 In addition to a shoe’s weight, we measure sole thickness (everything that sits between your foot and the road), how well the foam cushions your stride, and the flexibility of the forefoot. All this is taken into account in our reviews of each shoe.